July | 2018 | Dorothy Day Catholic Worker Washington, D.C. This is a special invitation to join with the Dorothy Day Catholic Worker, and co-sponsoring groups Pax Christi Metro-DC, Columban Center for Advocacy and Outreach, Maryknoll Office for Global Concerns and the Sisters of Mercy—Institute Justice Team, Pax Christi USA, Pax Christi International, Franciscan Action Network, Jonah House and the Assisi Community, in two nonviolent acts of public witness at the Pentagon and White House to repent for the U.S. nuclear bombings of Japan on August 6 and August 9, 1945 and to call for the abolition of all nuclear weapons in the U.S. and worldwide. See details below. Please share this invitation with your network of friends. I hope you can join us for one or both of these actions. If you are coming by metro, please get off at Pentagon stop–Yellow Line. Take south exit coming out of metro. When you reach the top of escalator go left and then right on the sidewalk going away from building toward South Parking lot. Vigil site is down on the left side behind a bicycle fence. Please go directly to vigil site where we will briefly convene before starting our Prayer Service of Repentance. For those driving, there is now limited parking on Army-Navy Dr., Eads Rd. There are new “Tour Bus Parking Only” signs on Army-Navy from Fern Street (in front of the Residence Inn) extending east about 3/4 of the block going toward Eads. There are, however, six parking spaces for cars on Army-Navy just before you get to Eads. These spaces are usually taken by 6:45 AM as are all the parking spaces around the corner on Eads and all the way down to 12th Street. There will be a Prayer Service of Repentance outside the White House. Meet on north side of White House on Pennsylvania Ave.–across from Lafayette Park. Seventy-three years ago, on August 6 and 9, the U.S. government did the “unspeakable” and dropped two atomic bombs on the Japanese cities of Hiroshima and Nagasaki, thus beginning the Nuclear Age. 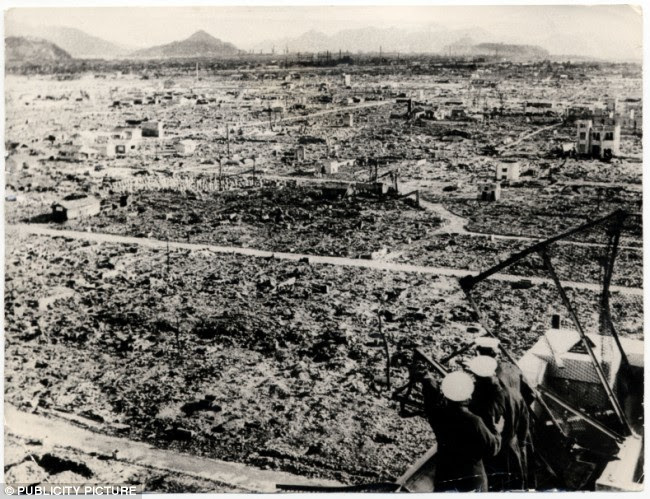 As a result of these bombings, it is estimated that over 135,000 people died in Hiroshima and more than 64,000 in Nagasaki. In the subsequent months and years, many more have died from the effects of burns, radiation sickness and other injuries. The U.S. has never repented for the use of these weapons of indiscriminate mass murder. Moreover, it has continued to build even deadlier weapons which endanger all of creation. Today the U.S. government possesses nearly 6,500 nuclear weapons, many of which are on hair-trigger alert, and proposes to spend an estimated $1 trillion over the next 30 years to modernize it’s existing nuclear arsenal. This deadly venture not only endangers all of creation but represents a direct theft from the poor of our nation and world. The Bulletin of the Atomic Scientists has turned its “Doomsday Clock” to two minutes before midnight to signify the perilous situation facing the world due to the dangers of nuclear war and the climate crisis. (https://thebulletin.org/2018-doomsday-clock-statement) This peril has been exacerbated by an unstable U.S. president who has threatened to attack North Korea and Iran. As a leading nuclear superpower, the U.S. practices a double standard by calling on other nations to disarm while, at the same time, it refuses to disarm and instead is rapidly expanding its own nuclear arsenal.